Shine in this long sequin prom dress by PromGirl. The sleeveless scoop-neck evening dress features a trendy, yet alluring open-caged-back detail. Allover sequins give this long metallic dress a stand out style. 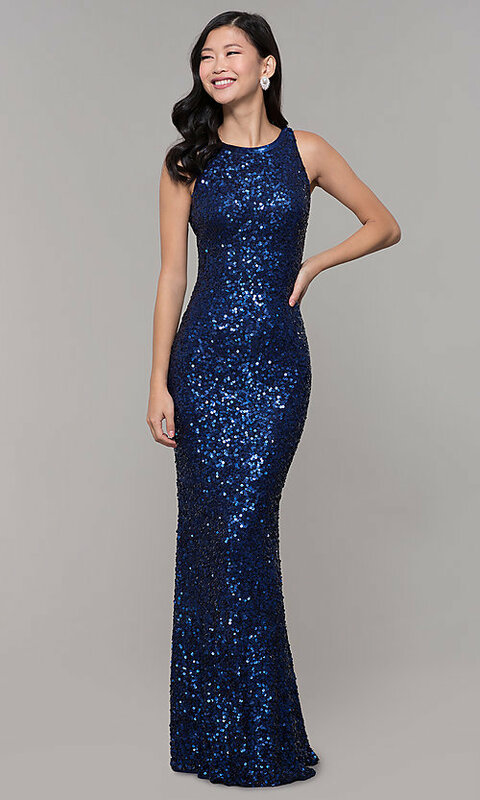 Offered in misses and extended sizes, the form-fitting sequin prom dress under $200 ends in a short train and offers a romantic look for pageants, galas and prom 2019. The model wearing rose gold is 5'9" and wearing 2.5" heels.